Quote: Pedestrian and cycling-related collisions with cars increased last year on Waterloo Region's roads. Pedestrian collisions were up 14 per cent to 139, according to a regional report released Tuesday. Cycling collisions increased 13 per cent. However, the 98 collisions in 2017 are lower than the five-year average of 105. The region's manager of transportation engineering, Bob Henderson, said it's not unusual for collision numbers to spike in any given year. "Collisions every year fluctuate," Henderson told regional councillors at a Tuesday committee meeting. "It's not indicative of a trend." Compared to other municipalities in Ontario, he said roads in Waterloo Region are generally safe. As well, fatal collisions per capita are trending downward over the past decade, along with overall collisions. "The long-term trend is downward, which is positive," Henderson said. The total number of collisions in 2017 was 6,263, including nine fatal collisions and 1,424 injury collisions. Henderson said there are more cyclists and pedestrians using regional roads, partly due to infrastructure such as multi-use trails that continue to be added, which contributed to the increase in collisions. Regional staff believe the increase in pedestrians is closely related to growth in transit ridership, pegged at an average growth rate of 5.1 per cent annually since January 2000 when Grand River Transit was established. Are we actually going to say that this is ok because a) it fluctuates every year and b) there are more people walking and cycling so it's just bound to happen. How about you tell that to the people who were hit? It's ok, it's just bound to happen. This is embarrassing. The only correct response is, "this is to many, we should have zero and we will do everything we can until we reach that number"
The Regional Staff, and specifically the transportation director has been crystal clear on this issue, it would be inconvenient to drivers to not kill cyclists and pedestrians, so regional staff recommend against such a policy. To be entirely fair, it would also be inconvenient for drivers to also not kill other drivers, and so for the same reason, not a priority. This is why all injury statistics reported are "excess social cost" not "absolute social cost". "Some injuries are okay" are implicit and not even really mentioned at all. Frankly, it turns me red just thinking about it. I just walked from the south end of the Boardwalk to the north end and noticed that all "boardwalk" sections of walkway are closed. Bad design choice for our climate if that's the case. And unfortunate for pedestrians. Generally I try to make the Boardwalk a park once trip if I'm gong to various places there, so getting around without having to deal with cars is much nicer on the walkways. (11-07-2018, 11:13 PM)timio Wrote: My best guess. I have an even better idea: they could have built all the buildings right next to each other, with no gaps, and built a roof over the sidewalk. They could even put buildings on both sides of the sidewalk, and doors at the entrances. It would be the ideal pedestrian environment: park once, then walk around in a weather-protected space connecting all the stores. With care in design, people arriving by bus could even get into the shelter from the bus without getting rained on. That sounds like a mall! (Which is not necessarily a bad thing in this context). Mall > power centre. Still would rather avoid when possible myself though. (11-08-2018, 12:58 AM)plam Wrote: That sounds like a mall! (Which is not necessarily a bad thing in this context). Mall > power centre. Still would rather avoid when possible myself though. It sounds like a portico. They're wonderful, and I've always wondered why we don't have many things like them around here, where the climate seems to make them even more useful than in places where they're widespread. Sidewalks are actually parking lots, pedestrians and disabled people be damned! Wish I'd thought of that! Just to be a wag, is there any proof that this was a man? 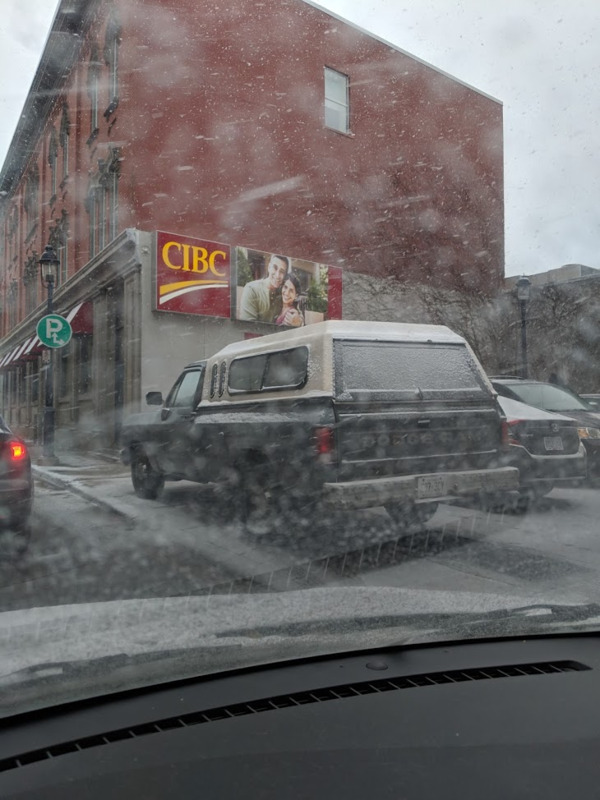 Or, for that matter, someone with mobility issues who needed easier access to the CIBC? Either way, it doesn't excuse parking on the sidewalk. I have a question that I am sure someone here will know the answer to. I should, but am unsure. Edited to ask, where is the contact info for the Region's Roads and Traffic department? I don't want to waste the time of whoever is monitoring the 'General Inquiries' e-mail unless my inquiry really is general, or I don't know which department I need to talk to about an issue. All signals are regional, even if it's city road and city road (though I'm not sure if any such intersections have signals here). There's a link to email the transportation department at the bottom of https://www.regionofwaterloo.ca/en/livin...gnals.aspx , though I suspect that all such inquiries from the public go to a general contact centre. I doubt the transportation department gets enough public inquiries to justify its own employee to answer them, and the engineers probably don't want to spend there time answering emails about small questions. I have emailed the transportation department in the past about traffic signal issues, and the message was handled by an assistant who forwarded my message to the appropriate person. Thanks for that. I never knew that the cities were not responsible for any signals- and, yes, that link on the bottom of the transportation page is just general inquiries. I guess that's just how they prefer to receive queries. The City of Kitchener, for instance, seems very good about including Project Managers' contact info, which I find great, but I guess it's up to the organization to organize as they see fit.